Columbus set off to find the Spice Islands. Poor man, he got nowhere near them. In fact, the new world he managed to discover instead turned out to be distinctly poor in spices. North and South America together had only three to offer: vanilla, allspice and red pepper. But that last one made up for the lack, and proceeded to conquer the world in record time. 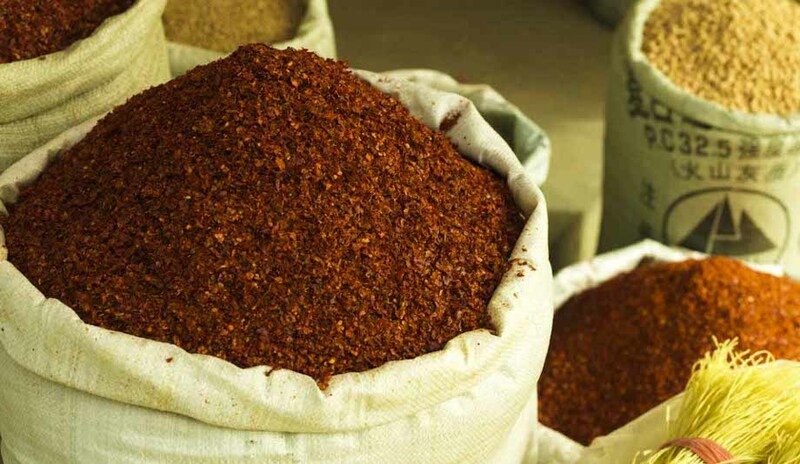 Within about two generations, red pepper had spread to India and China and was headed into the remote heart of Africa. It found its way to Central Asia too, of course, by way of Persian merchants from Khorasan. Wherever red peppers went, they tended to replace earlier hot spices such as black pepper and the now largely forgotten ‘small peppers’: long pepper, cubeb, Kani pepper (Xylopia aethiopica) and the undeservingly named ‘grain of paradise’. Typically, they took over the name of whatever spice they replaced, like a hermit crab moving into an abandoned shell. They deserved to conquer. They were hotter than any spice that had come before, and their heat did not dissipate if they were stored for a year or so. They had a far more cheerful colour than peppercorns. Rich in vitamins A and C, they delivered more of the health benefits that had been claimed for other spices. Above all, they were far cheaper. They did not need the specialised climate of Indonesia or southern India to grow – they could flourish practically anywhere. Central Asia had been familiar with spices for centuries by Columbus’s time. They are a classic caravan trade good: light, relatively durable and high in value. By the time Mahmud of Kashgar wrote Divan Lughat al-Turk, his twelfth-century dictionary of Turkish dialects, the nomads were familiar with spices such as coriander, galingale and fenugreek, under a mixture of Indian and Persian names. 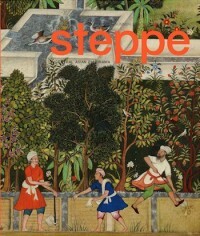 Remote from the spice-lands as it was, the steppe never developed a really keen taste for spices. No curries here; no chilli con carne. Even today, the farther north and west you go in Central Asia, the less spicy the cuisine. The country with the liveliest interest in peppers is Afghanistan, which is, after all, right next door to Pakistan, which is practically India. This is not, therefore, one of those parts of the world where red pepper has replaced black pepper. The two spices coexist equally, and recipes usually mention red and black pepper even-handedly as options. The exception is Xinjiang, perhaps because of its extreme climate. Capsaicin, the hot element in chillis, makes you less aware of the ambient temperature, whether hot or cold. The hottest use of red pepper I have encountered in Central Asia was in the pickled cabbage sold at a market in Tashkent by Koreans, descendants of the Korean population relocated by Josef Stalin to Uzbekistan in the 1940s. The pickled cabbage had nothing to do with Central Asian food, of course, except that by now some Uzbeks have developed a taste for their Korean neighbours’ proverbially hot kimchi. In local Central Asian dishes, red pepper seems to show up most prominently in soups, perhaps because they can be diluted. The hottest seems to be sherwa-e shamali-war, a proverbially peppery soup from northern Afghanistan. This Uzbek soup recipe given here is virtually identical to the Tajik kaurmo shurpo. It comes from Uzbekskie Bliuda, by Karim Makhmudov and Arif Tursunov (Tashkent, 1982). unpleasant tallowy sensation on the palate. In any case, some Uzbeks now use vegetable oil, preferring a lighter, non-muttony flavour and, they feel, a more healthful diet. When fresh tomatoes are unobtainable, Central Asian cooks substitute two tablespoons of tomato paste. If using lamb fat, render it in a small saucepan with the addition of a little oil, aiming to wind up with about 1/4 cup total when the cracklings are removed. Fry the onions in the oil until transparent, then add the meat and fry until brown. Add the tomatoes, potatoes, onions, carrots and pepper with water to cover and cook until done for roughly 1 hour. Adjust water, salt and pepper to taste. These Uighur Lamb kebabs come from Beyond the Great Wall: Recipes and Travels in the Other China, by Jeffrey Alford and Naomi Duguid (Artisan, 2008). Cut the lamb into small pieces, approx. 1 in. square, leaving a little fat on the pieces. Set aside. Process the onion to a paste in a food processor. Transfer to a medium bowl and stir in the remaining marinade ingredients. Add the lamb pieces and stir so they are all coated with marinade. Cover and let sit for 2 hours in the refrigerator. Prepare a medium-hot fire in a charcoal grill or preheat a gas grill. If using bamboo skewers, soak 8 skewers in water for 30 minutes. Thread the pieces of meat onto the 8 bamboo or metal skewers. Don’t crowd them: the pieces should barely touch one another. Place the skewers on the hot grill, about 4–5 in. from the coals. Grill for 2 minutes on the first side, then turn. Cook for 7–8 minutes longer, turning periodically to ensure good colour and even cooking. Cooking times will vary somewhat depending on whether you use bamboo or metal skewers and on the heat of your grill, and whether you wish to leave the lamb pink in the middle or to cook it right through. Serve skewered on a platter. Charles Perry worked for Rolling Stone from 1968–76; since his rock n’ roll days, he has been a food writer and columnist. He has published widely on food history, was a major contributor to TheOxford Companion to Food and has written a number of books including Medieval Arab Cookery (2001), A Baghdad Cookery Book (newly translated, 2005) and The Haight-Ashbury: A History (2005).